What are the forms, highlights, influences and doctrines that have shaped Romanian architecture in the 20th century? Urbanist Radu Pervolovici (Meta Cultural Foundation, Bucharest) and Dr. Shona McArthur Kallestrup (University of St Andrews) join London-based architect Adrian Petrenco for an overview of 100 years of architectural creativity, starting with 1918 - the year of Romanian unification - to the present day. The conversation is complemented by an exhibition of photography illustrating the stylistic diversity of Romania’s built patrimony and the political, cultural and social contexts that have influenced it during a troubled century. 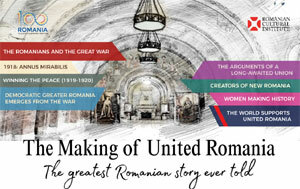 The event is organised with the support of the Romanian Architects' and Urbanists' Forum in the UK. Part of the London Festival of Architecture and of RCI London’s programme celebrating the Centenary of united Romania (1918-2018). Dr Shona Kallestrup is Associate Lecturer in the School of Art History at the University of St Andrews and has also taught at the Universities of Aberdeen, Copenhagen and Edinburgh. She is a specialist in East European and Scandinavian art and architecture, with a particular interest in late 19th- and early 20th-century Romanian art and design. She has researched widely in archives and royal collections in Romania and published a range of related scholarly articles, as well as one of the leading books on the period, Art and Design in Romania 1866-1927. Local and international aspects of the search for national expression (2006). 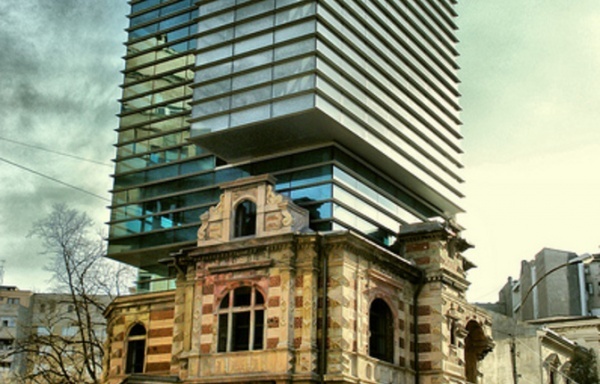 With a BA in Urban Studies and an MA in Urban Planning at the Ion Mincu University in Bucharest, Radu Pervolovici carries out projects in various fields: cultural management, design and architecture, interior and landscape design, photo editing, photography and urbanism. While, in the three-dimensional visual sphere, his main preoccupations are centred on minimalism, in the field of cultural management his portfolio includes complex projects that involve the management of mixed multidisciplinary teams. Similar projects he has worked on include: 'A Century of Romanian sculpture' (2013-2014) and 'A century of Romanian architecture' (2015). Adrian Petrenco is a Romanian-born British architect with an impressive career built around his special interest in historic buildings, conservation, green design, painting and sculpture. In 1969, he received a Bachelor's degree in Architecture and Urbanism from the Ion Mincu University in Bucharest and, three years later, he moved to London, where he worked as an architect in various conversion and refurbishment projects for some important historic buildings and also for the development of new edifices. During the past ten years, Adrian Petrenco has worked as a consultant for protected historic buildings in London and across the UK.